This Band Pull-apart Circuit is a series of upper body exercises designed to strengthen the rotator cuff muscles which helps to reduce the risk of shoulder injury. The aim with all of these exercises is to focus on good technique rather than going super heavy. Start with your arms straight out in front of you holding a resistance band. Keep a slight bend in your elbows and your shoulders pulled down and back. Stretch the band outwards until your arms are out to the side. Slowly bring your arms back to the starting position and repeat. Alternate between an overhand and underhand grip. Start with your elbows tucked into your sides. Your hands should be out in front holding a resistance band. Retract your shoulder blades and rotate your arms outwards whilst keeping your elbows tucked. Hold a resistance band with your elbows tucked into your sides. 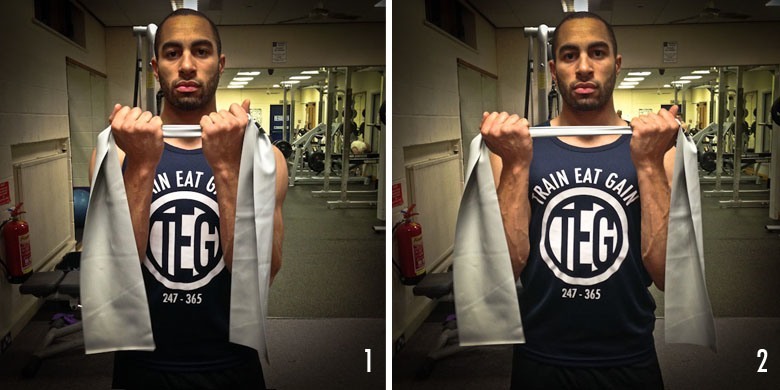 This time your hands should be level with your chest holding a resistance band. 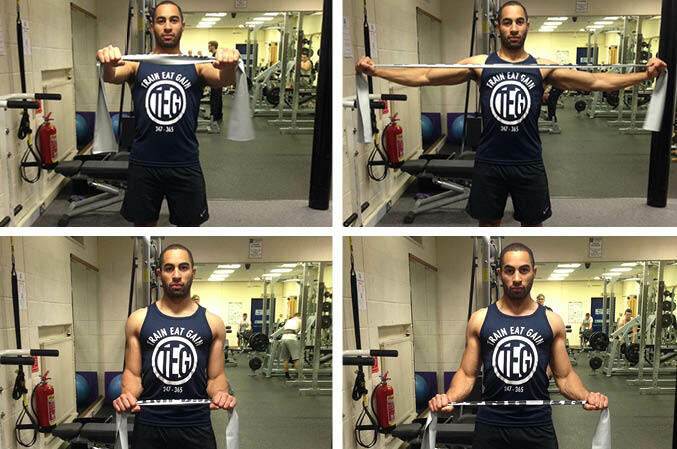 Stretch a resistance band above your head with shoulders back and down and hands about twice shoulder width. 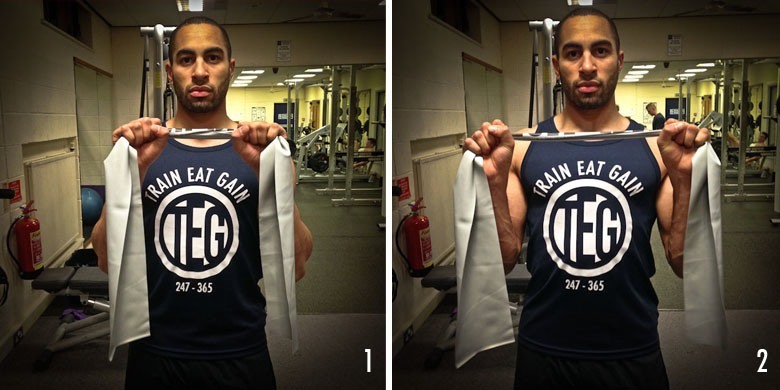 Pull the band downwards as if you were performing a behind the neck lat pulldown. Try to keep your hands at an equal distance apart throughout the movement.